Although the CBI has described Brexit as “sucking the oxygen” out of the country’s digital economy, Fell maintains that the government must put in place a plan of action to support 5G rollouts and superfast broadband networks in order for the UK to keep up with the rest of the European Union. Fell warned that if little is done to mitigate the impact of Brexit, the country risks falling behind the rest of the world in terms of access to speedy and reliable internet, whilst also worsening the gap between urban and rural areas’ connection to broadband networks. Fell said: “There’s already a digital divide in rural areas across the UK. One of the primary concerns is that funding for broadband upgrades will cease upon Brexit due to private businesses cutting back on expenditures, whilst external equipment suppliers may withdraw their support forcing infrastructure to decline as a result. A further problem is seen in the fact that skilled labour will relocate to outside of the UK, therefore reducing the workforce required to rollout the country’s extensive broadband plans. Fell commented: “Businesses have already invested heavily in digital infrastructure. In fact, the private sector will provide most of the £33 billion total investment needed to deliver full fibre networks across the UK. 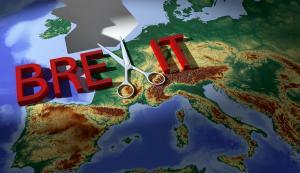 Policy changes have been suggested to alleviate the Brexit stress. Recommendations include mandating only full fibre or gigabit cables to be installed in homes, businesses are prepared for 5G services, and that all public transport lines use only full fibre networks.